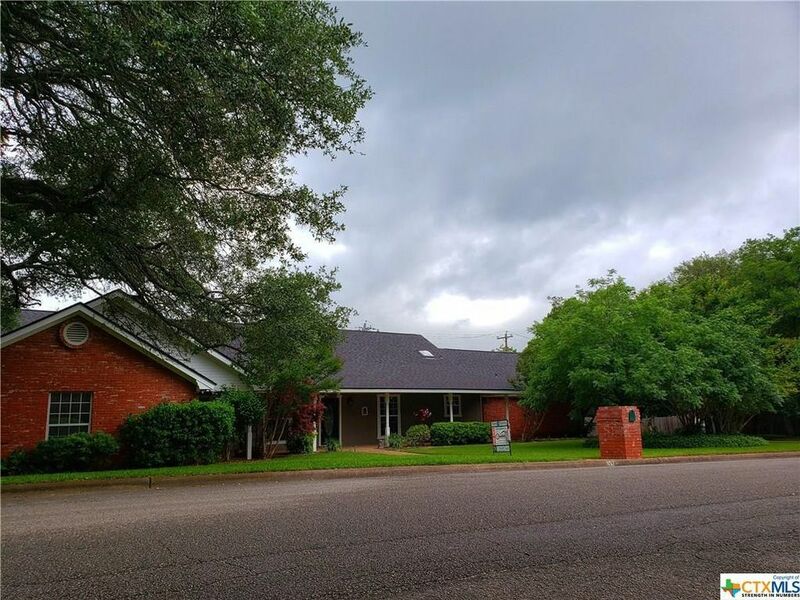 Sprawling 4/3 brick 3, 407 sq.ft. Side-entry garage w/ remotes & a wall of storage rms. Walking dist. to schools in well-established & quiet Oak Grove addn with only one outlet. Wide street, perennial landscaping, enclosed sun porch, wood deck, & AG saltwater pool & reasonable utilities are a few of the things you'll love. Open pasture land behind provides great view all the way to the Courthouse! Big foyer & office space are up front. Huge LR w/ vaulted ceiling, WBFP w/ gas starter, built-ins & a wall of wndws overlooking the fully enclosed sun-porch. Big kitchen open to dining, tons of counter top & cabinet space, built-in appliances, a granite island, & lg brkfst bar. Big BRs w/ carpet & wlk in clsts. Guest Rms offer a jack-n-Jill bath w/ private vanities. Master access to sun pch, jetted marble tub, sep shower, his/hers WIC & sep. vanities. 4th BR has French doors to the deck. Privacy fence, stg bldg, sprinkler sys & plenty of extra concrete for prkg or the basketball goal. Directions: Directions: From courthouse go E. on Main. L on N Lovers. L on Sunny. House on L.